MASONRY AND EXTERIOR WOOD PAINTS! 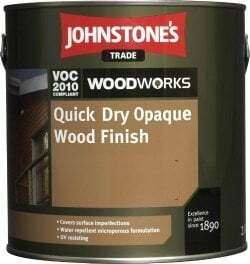 Quick Dry Opaque Wood Finish gives a long lasting, all weather, microporous, protective finish ideal for garden furniture and exterior woodwork. Available to colour match into thousands of shades simply tell us the name and brand of the colour you would like and we will match it for you! EXTERIOR MASONRY & WOODWORK! With our in house tinting machine we have the capability to mix over 16,000 colours! So whatever you're looking for we can create it for you just simply follow the three steps below and tell us the name and brand of colour you would like to match and let us do the rest! See below for more information or feel free to message us on our live chat or give us a call for any additional help. Suitable for metal, this Black matt matt stove & BBQ spray paint from the Stove & BBQ range by Rust-Oleum has been specially designed to give a stunning finish to exterior metal items. 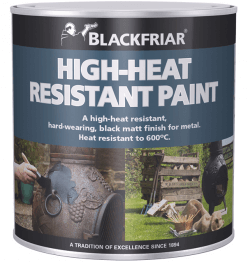 Simply apply and leave for 24 hours to dry - a great way to revamp exterior metal with rust protection, heat protection and quick-drying. Covers 2.5m² per litre on average.